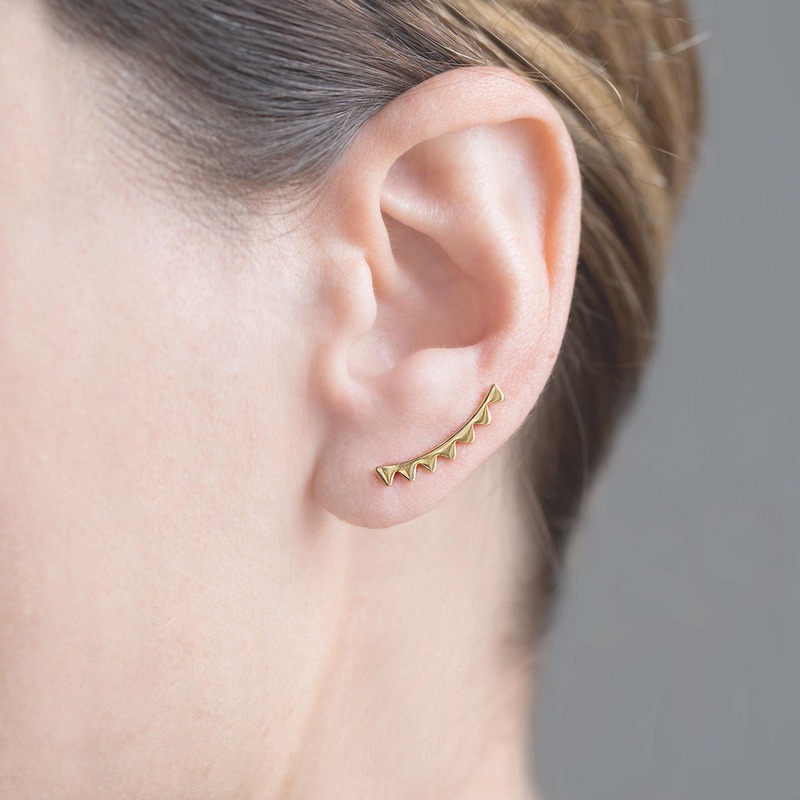 - The geometric and industrial world are the bases of inspiration for these Ear Climber earrings. 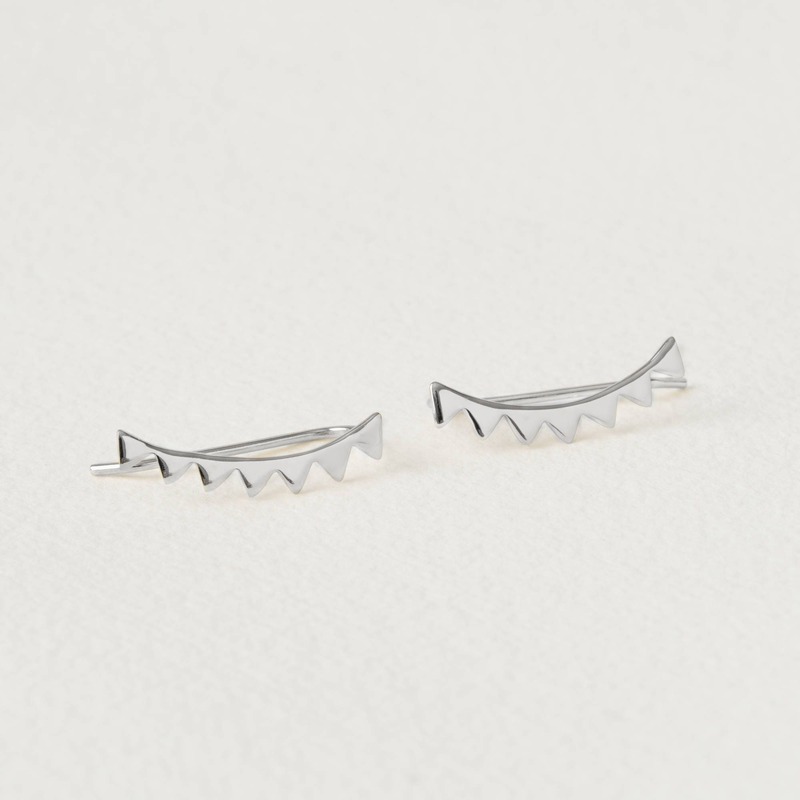 - These designer earrings are composed of tiny triangles ascending the earlobe. - These dainty earrings are in the category of trendy earrings known as Ear Climber. You only need one perforation for wearing them. 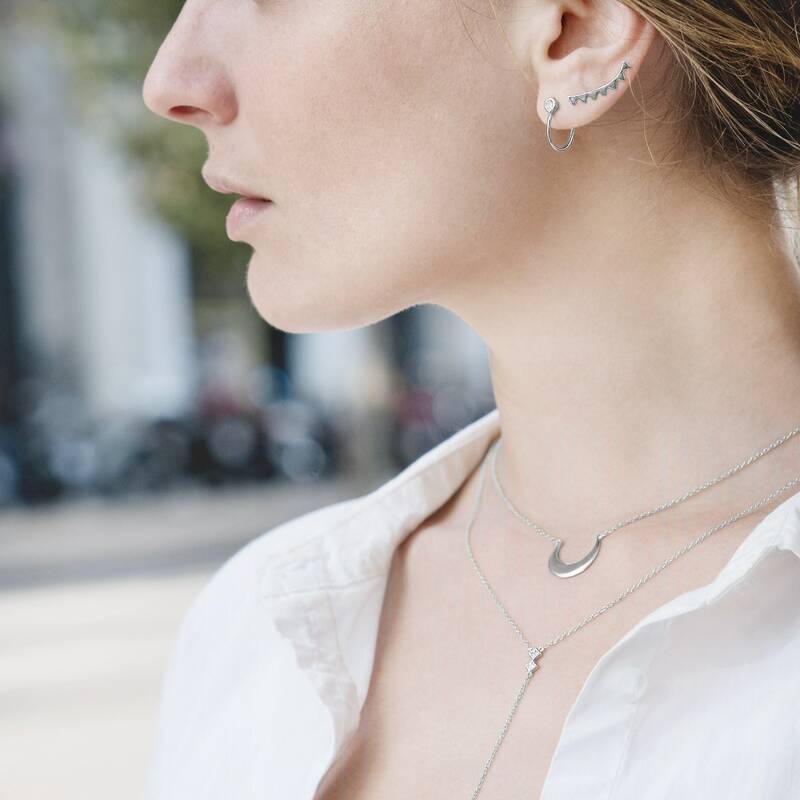 - tiny triangle earrings design are easy to wear and they fit with any look! Be daring and wear these silver earrings which give a casual and funny touch to your looks. very nicely made ! item came super quick! Love this pair of earrings and I get compliments all the time :) I have sensitive ears and they do not irritated me once. This also shipped early and I love wearing them!